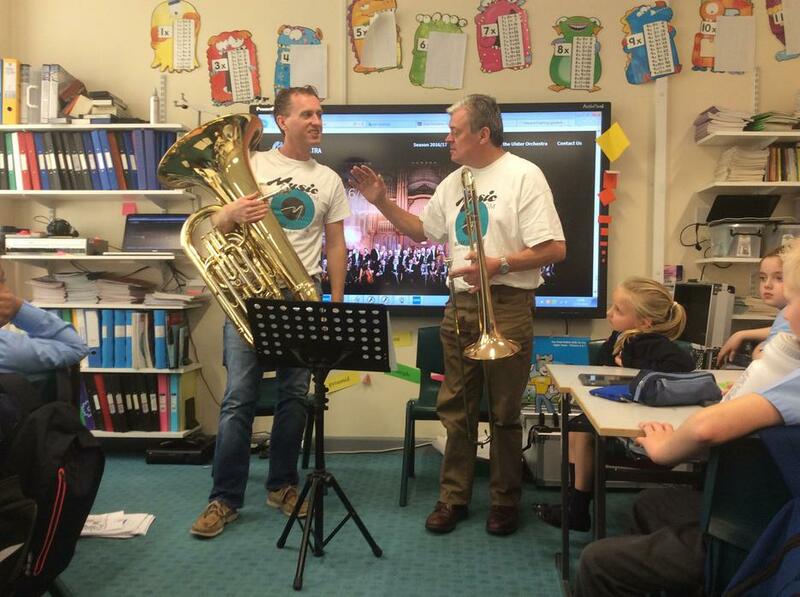 Our class was delighted to welcome to members of the Ulster Orchestra to school today - two brass players, Martin and Stephen with their instruments, the trombone and the tuba. 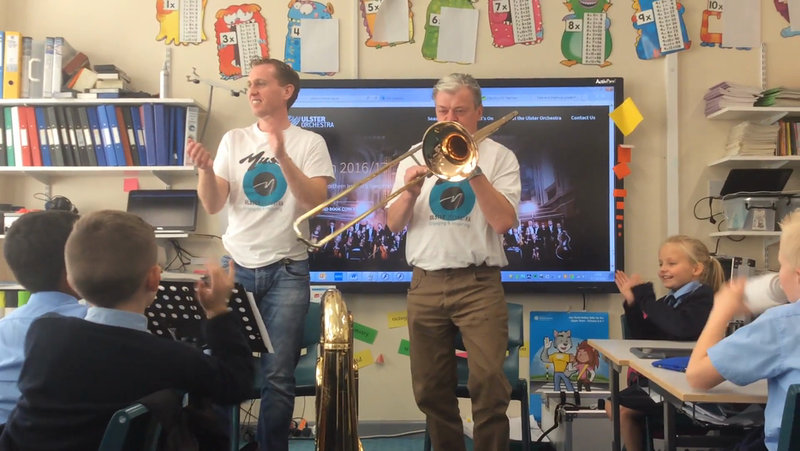 They entertained us, they taught us about their instruments, they explained a little bit about the orchestra, and they involved us in playing, conducting and working out beats and rhythms. Check out the photos and video clips below, and see if you can work out the names of the pieces they played and the films they are from. In a few weeks time our whole class will be able to enjoy a performance by the whole orchestra when they visit Newry. Do you recognise the tune being played?